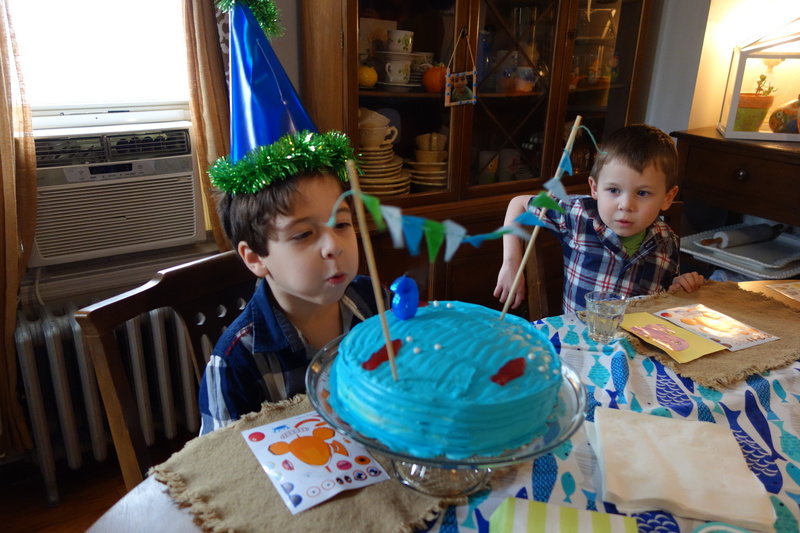 My first-born turned 6 last Sunday and I’m having feelings about it. I am in disbelief at how quickly he’s growing up. I wish I could hold on to every moment, remember every silly joke and the belly laugh the follows, and hold him in my arms like I did when he was tiny…but I am also incredibly proud of the little man-child he has become. His kindness, his generous heart, and his loving spirit are daily reminders that growing up also means growing within. 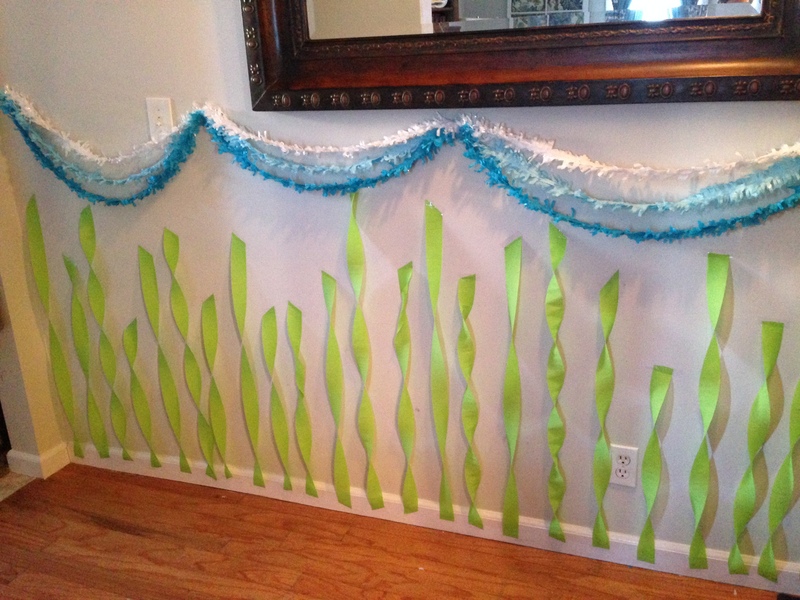 He asked for a “Under the Sea” party theme this year and he even reminded me on Wednesday that if I didn’t start decorating soon I would run out of time (totally my son!) I like making the party look and feel homemade but I don’t have a lot of time now that the shop is open and I work 6 days a week so I chose a few simple crafts that would make a big impact with little investment. 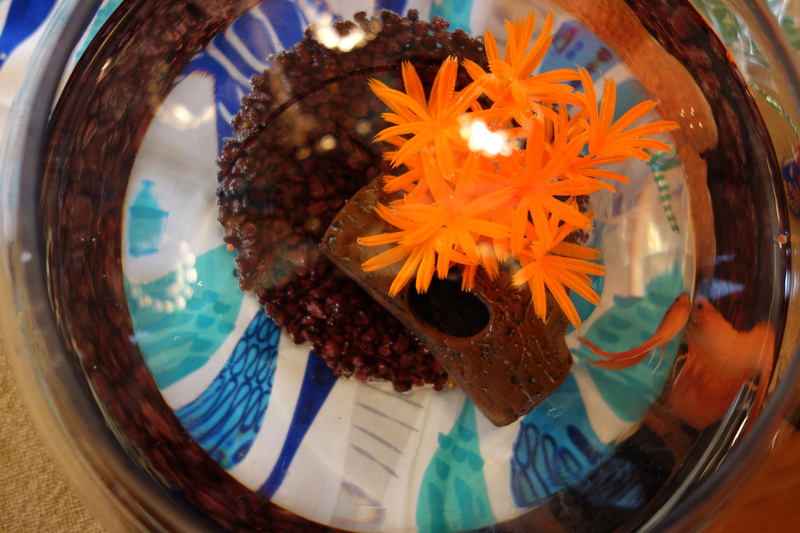 I employed the use of a few rolls of crepe paper and created a homespun water wonderland for his Birthday lunch. I was thrilled to find our favorite local toy store, Just Kidding Around, carried the Djeco paper fish decor I saw on Amazon the night before. 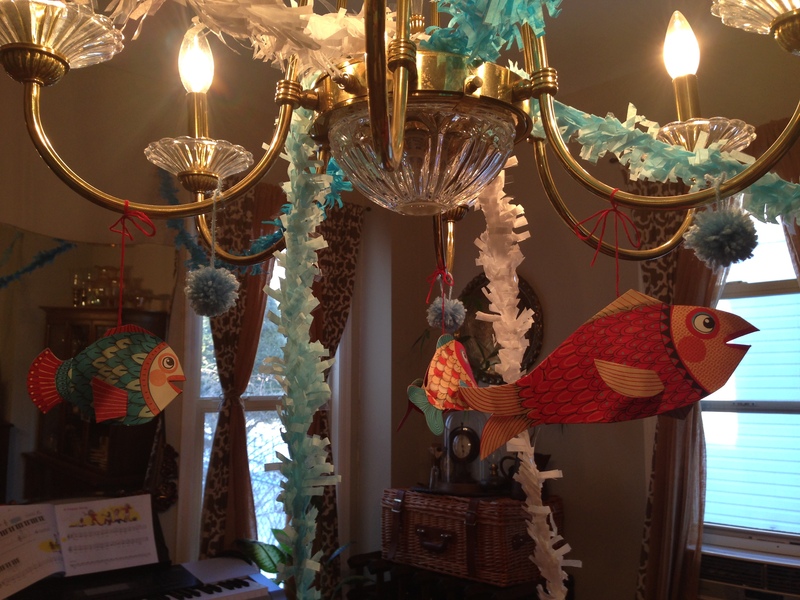 I added some handmade yarn pom poms as bubbles and hung them from our chandelier. 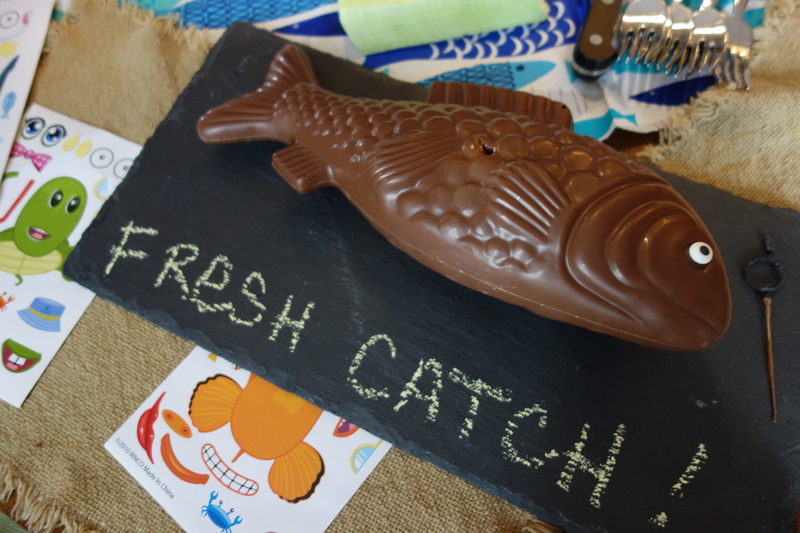 They also provided the fishing game we used as part of our scavenger hunt. 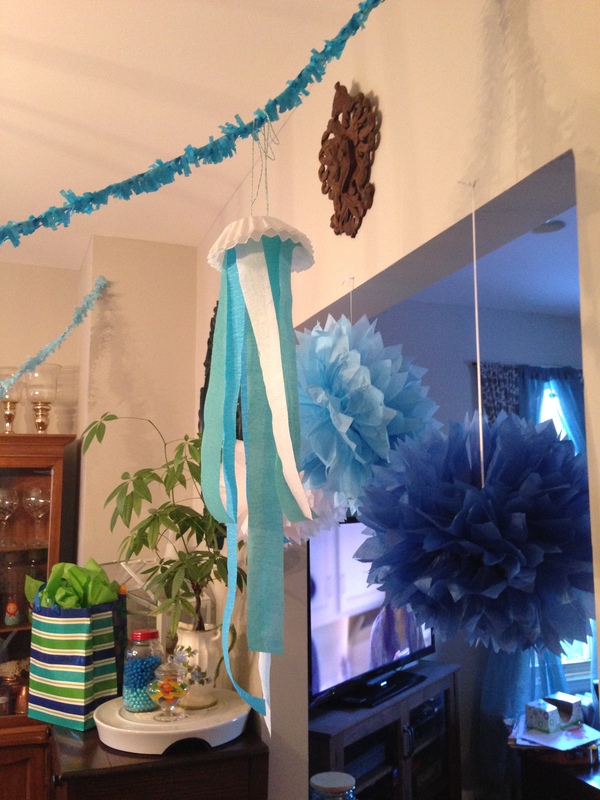 I also saw a cute jellyfish craft online that inspired my crepe paper jellyfish. Instead of their suggested muffin cups I used coffee filters and layered them to be fluffier. Tape, coffee filters, and crepe paper – can’t get any easier than that. 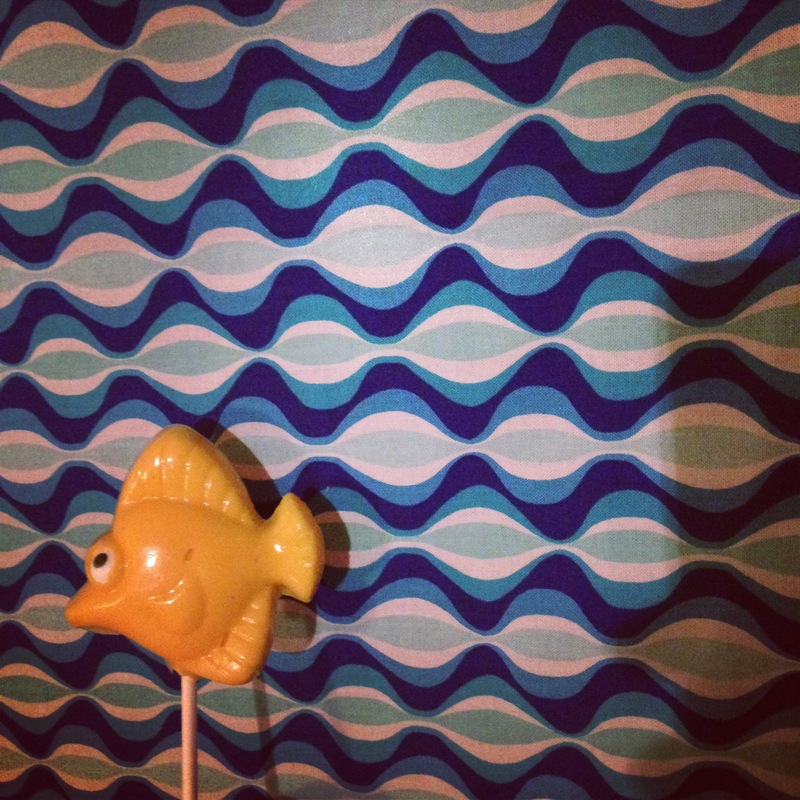 With a bag of candy melts and an ocean-themed mold from the craft store, I created quick Fish lollipops. 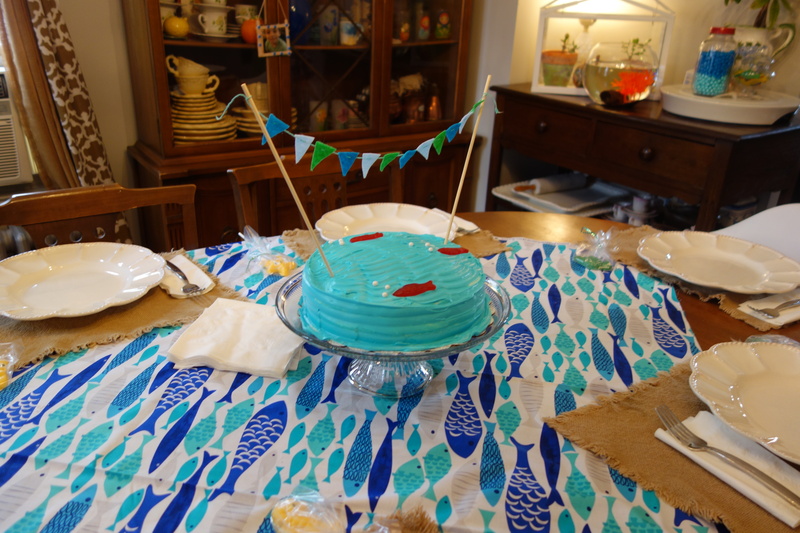 For his cake, I colored each layer of a white cake a shade of blue, colored the icing blue, then scraped a tool along the surface once frosted to emulate waves. I added a few Swedish Fish and some Pearl Dragees to complete the look. I used two bamboo skewers, some bakers twine and a bit of felt to quickly stitch the cake bunting. I stopped by my local fave, Rock Paper Scissors, to pick up two yards of themed fabric to use as a backdrop and table cloth. It adds to the theme without committing time or energy to a project, and it is reusable for a future craft! 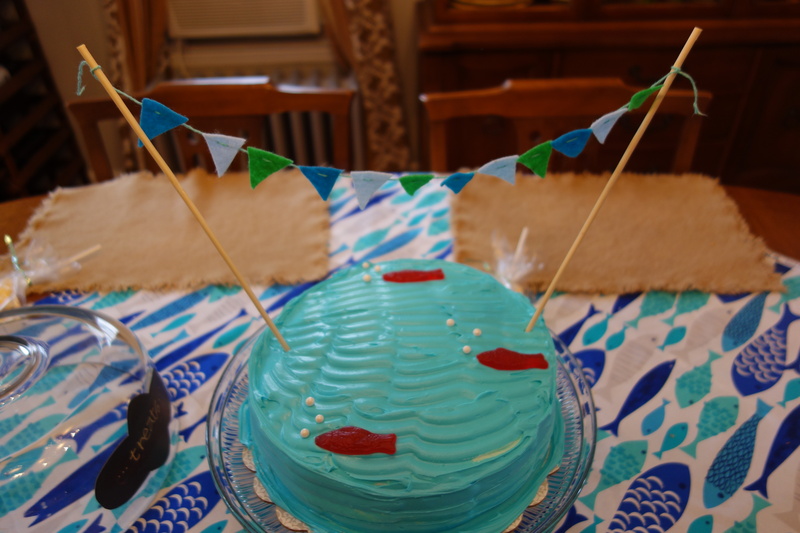 His “other cake” was a chocolate fish I stumbled upon in the Valentine’s Day section of Target the week before. I added a number 6 sparkler and sang the Persian version of Happy Birthday as I brought it out to him. Hunter’s expression when he came home to the decor was priceless! 🙂 He even got his wish…a new pet fish! We had a wonderful time celebrating his special day! It was more low key than previous years – if you’ve been following the blog awhile, you know I really toned it down from my months of prep back in my SAHM days. I am still correcting myself when people ask me how old he is. 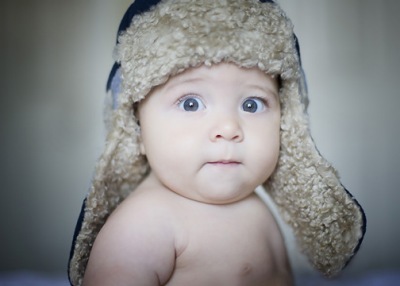 Six seems so “old” …where did my chunky monkey go? He will always be my Hunter Boo…even though he has already planned his wedding, named his children, and decided where he wants to live when he’s 30. I am one lucky momma!